PauaMAC5 Incorporated v Director-General of Conservation  NZHC 1182 (“PauaMAC5”) is a short but gnarly case about shark cage diving and the Wildlife Act 1953. 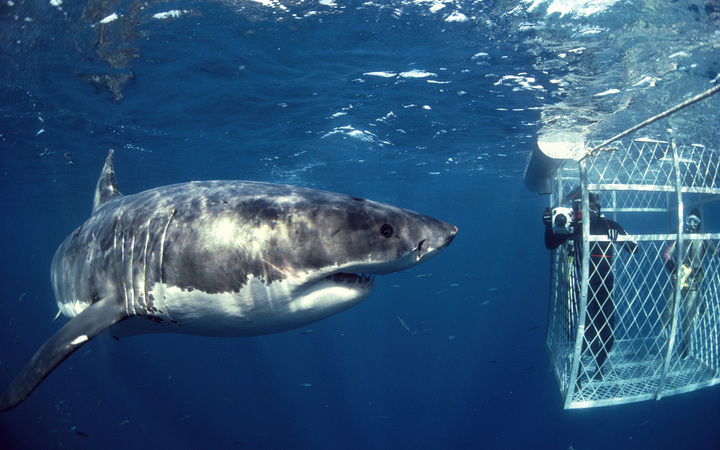 Shark cage diving involves viewing sharks (in this case, great white sharks), lured by attractants, from inside cages lowered into the water. Commercial cage diving has been operating off the coast of Rakiura/Stewart Island since 2008, giving rise to claims by local commercial paua and kina fishing quota holders that cage diving in the area has created an “elevated level of risk of shark attack” for their divers by “building a strong association between the attractants, and vessels with divers in the water” (). In order to get some rules in place to protect the paua and kina divers, PauaMAC5 (an organisation representing the commercial fishing interests) made representations to government supporting the development of a regulatory framework for commercial cage diving. PauaMAC5 argued that a permitting system was required because cage diving operators were “hunting or killing” sharks without express authorisation from DOC and in breach of the Wildlife Act, s 63A(a). Apparently persuaded by this argument – and by PauaMAC5’s further suggestion that the requisite permits could be issued under s 53(1) of the Act, which allows the Minister to authorise any “catch alive or kill” of protected wildlife – the Minister announced in February 2014 that commercial cage diving operators would henceforth be required to obtain permits similarly to whale, dolphin and seal watching operators. In December 2014, the Minister granted each of the Rakiura cage diving operators a permit pursuant to s 53(1). These permits did not address the safety of other water users, however, and PauaMAC5 filed proceedings seeking a declaration that public safety was relevant to decisions about permits, but had not been considered. This point was never decided, because at the outset of the hearing, Collins J advised the parties that there was a real issue in whether or not s 53(1) covers shark cage diving at all. If not, the Minister had no power to issue the permits. In PauaMAC5, Clark J decided that cage diving does not fall within “catch alive or kill” in s 53(1) and, while I agree with this conclusion, I am uncomfortable with some of the Judge’s wider observations about the scope of ss 63 and 63A of the Act. PauaMAC5’s argument that cage diving fell under s 53(1) rested on importing the meaning of the phrase “hunt or kill” from ss 63 and 63A (the offence sections) into “catch alive or kill” in s 53(1) (the permit section). The offence sections are intentionally wide, and cover a “wide range” of activities, given that they include all the actitivities listed in the definitions of “hunt or kill” (including taking, trapping, capturing, pursuing, disturbing and molesting widlife) and “take” (in turn including “taking, catching, or pursuing by any means or device”) (Solid Energy New Zealand Ltd v Minister of Energy  NZHC 1979 (Solid Energy) ). According to Mallon J in Solid Energy – one of the cases about the Stockton coal mine and Powelliphanta, the absolutely protected land snail – “hunt or kill” “is intended to capture deliberate actions in relation to wildlife (whether well intended or not) that interfere with the natural and ordinary activities of the wildlife and that may harm the widlife or carry with them that risk” (). Even though “hunt or kill” would not cover walking through the bush and accidentally stepping on a bug or startling wildlife (because neither of these activities involve any deliberate action in relation to the wildlife), or following wildlife that “remains free to carry out its activities as it wishes”, the phrase was held to cover the actions of Solid Energy in removing snails (by hand or mechanically) from their existing habitat on the proposed mine site, and relocating them to a new habitat (- and ). In PauaMAC5, however, Clark J insists that the activities included in the definitions of “hunt or kill” (taking, trapping, capturing, and so on) are mere incidences of hunting and killing and “are not to be viewed in isolation from the core activity which is hunting or killing” (). Activities “will only constitute an offence under s 63A(a) if they involve the hunting or killing, or an intention to hunt or kill, protected marine wildlife” (PauaMAC5 ). This fits with Kirkby v Ngamoki HC Rotorua M172/84, 11 July 1985, which is discussed in Solid Energy, but I am not sure it would cover the actions of Solid Energy in moving the snails. This matters because the importance of the breadth of the Wildlife Act’s offence sections should not be underestimated. Althought the Act presumes that all wildlife is absolutely protected unless stated otherwise, it does not then create any positive obligations on anyone to protect “protected” wildlife. In Royal Forest and Bird Protection Society of New Zealand Inc v Minister of Conservation  NZAR 654, the Powelliphanta case preceding Solid Energy, MacKenzie J explained that the extent of the protection offered by the Act “is contained in” the offence provisions (). So, absolute protection actually (just) means being protected from a “hunt or kill.” Given this, then the narrower these offences are, the less the protection afforded to wildlife by the Act, and Clark J’s judgment unneccesarily emphasises the limits of “hunt or kill.” “Unneccessarily” because the Judge had already decided not to import the meaning of “hunt or kill” into “catch alive or kill”, the phrase used in s 53, the permit section, and so she did not need to comment on the meaning of the offence provision(s) at all. Clark J decides that the words “catch alive or kill” in s 53(1) should be given their ordinary meaning and do not extend to shark cage diving that is not “undertaken with an intent to catch alive or kill sharks” but rather involves attracting sharks to a vessel, platform, or cage in order to view or film them ( and ). This means (as counsel for the Director-General of Conservation argued at ) that “less invasive interactions with wildlife [will not be able to] be regulated so as to ensure its overall protection” unless shark caging is susceptible to regulation elsewhere under the Wildlife Act. Section 53(2) authorises the Minister to pemit any person to “catch alive or otherwise obtain alive” any wildlife. This might work if “obtain” includes luring with attractants. Section 54 provides for permits to “hunt or kill or catch alive” wildlife responsible for injuring or damaging any person, land, stock or crops, chattel, or other wildlife, and so does not apply to shark caging. Section 77 provides for regulations that could apparently authorise a permitting regime: subs (1) provides generally for regulations that the Governor-General “considers necessary or expedient for the protection or control of wildlife or for the due administration of this Act.” However, while this provision escapes being read down to exclude permits other than for game (ejusdem generis will not apply as subs (1) precedes the specific empowerments that refer only to game listed in subs (2)), read in the context of the Act as a whole, s 77(1) might not authorise permits beyond ss 53 and 54, given that the mere existence of these sections suggests that they contain everything Parliament meant to say in the Act about permits. In the end, I agree with Clark J that the Act is “ill-suited” to regulate shark cage diving in a similar way to how commercial activities involving marine mammals have been regulated under the Marine Mammals Protection Act 1978.